Here I have compiled a great list of quick and easy sewing projects for beginning sewers. Some of the projects below are mine and will have a video tutorial with them and some of the tutorials are from other great websites from around the blogosphere! 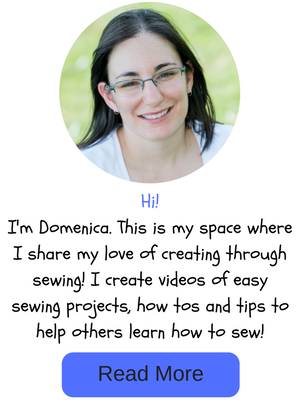 I hope you can find some great sewing inspiration here! Please note: This page is currently being redone so there will many projects being added very soon! Try this grocery bag holder. 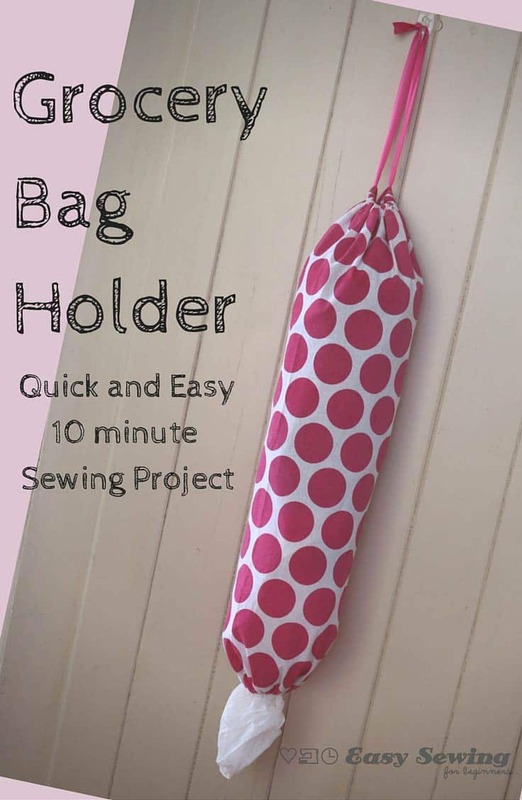 It’s made from a tea towel and will take you 10 minutes to do! Click on the photo below to go straight to the project. 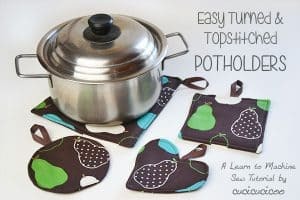 How about an easy peasy pot holder? Click on the photo below to go straight to the project. One of these wrist pin cushion will surely come in handy! Try this super cute Knot Bunny Lovey for a great baby present! Make it out of minky fabric and any baby will love the cuddliness of it. It comes with a free mini pattern to download. Here’s a bib that won’t be pulled off. 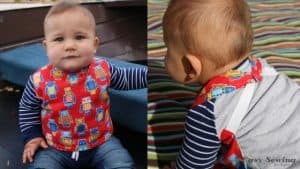 Try sewing up the Stay-On Bib for any baby who just won’t leave their bib on. 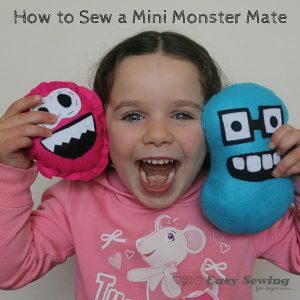 Here’s a Mini Monster Mate to sew. An easy felt project for kids just learning how to sew.